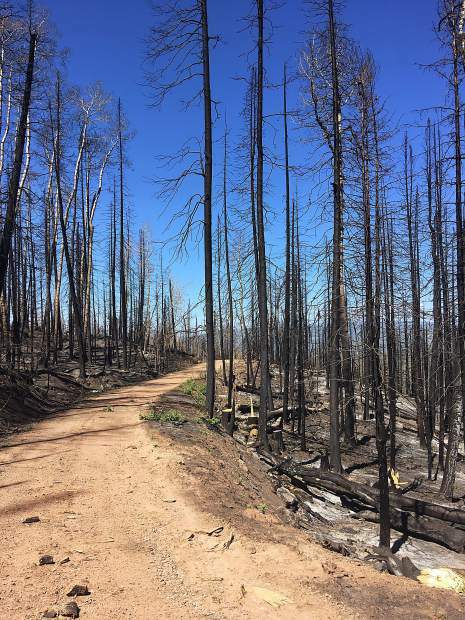 The closure of lands on Basalt Mountain in the wake of the Lake Christine Fire were lifted at 12:01 a.m. Friday for non-motorized travel, the U.S. Forest Service announced Thursday. The reopening will include Basalt Mountain Road, also known as Forest Road 524, and Cattle Creek Road, also known as Forest Road 509. The parking lot at the junction of those roads will be open starting Friday, but gates will prohibit motorized travel a short distance past the parking lots. Once winter travel restrictions are in place, the closure will move further down the road to the regular winter closure gate. “During a recent trail evaluation, crews encountered over 60 downed trees across a one-mile section of the Mill Creek Trail and hundreds of downed trees across a three-mile section of the Cattle Creek Trail,” Kevin Warner, acting Aspen-Sopris District Ranger, said in a statement.